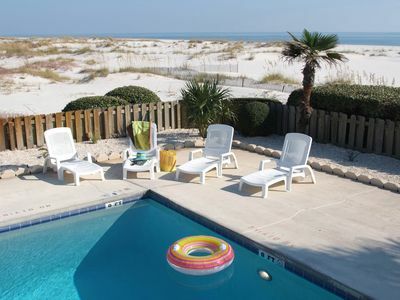 This is a low density, family oriented complex located directly on the beach in the heart of Gulf Shores. 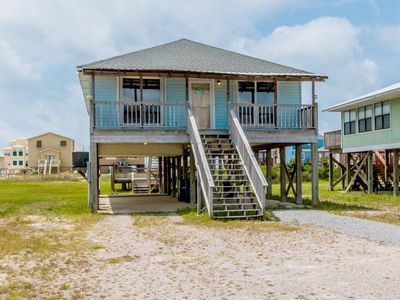 This is Alabama’s original beach town (Small Town Big Beach) and has been a beloved spot for families to gather for many years. 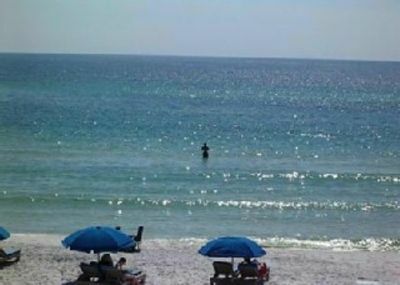 Enjoy the family fun entertainment, unique shopping, great food and especially the white sand beach and emerald waters. Newly remodeled with fresh paint, new granite counter tops in kitchen with tiled backsplash, new king bed and new queen sleeper. 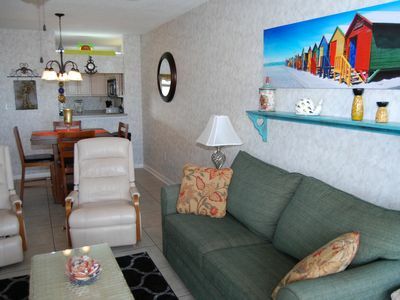 Tropic Isles 701 is a two bedroom, two bath unit. 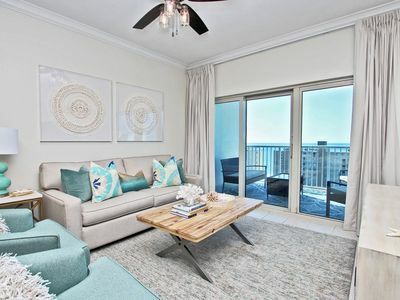 Because this is a corner unit, it offers an exceptional panoramic view of the beach and gulf from the balcony and a great view of the beach area from the dining area either through the slider or side window. The condo can sleep 6 comfortably. The Master bedroom features a king bed with a private master bath with soaker tub & separate shower and large closet. An excellent view of Little Lagoon and the surrounding area can be seen through the window. 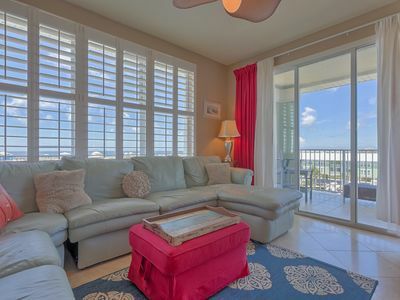 The second bedroom has a new king size bed with a view of the beach from the side window. The new queen sleeper is located in the den area. A washer and dryer is also in the unit. This unit has a dedicated covered parking spot under the complex. 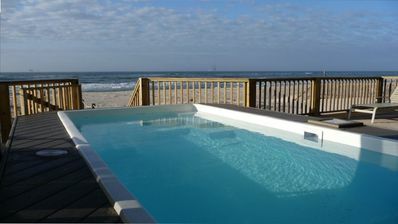 Wake up early to view the sunrise and dolphins or watch the sunset or just plain beach watching. 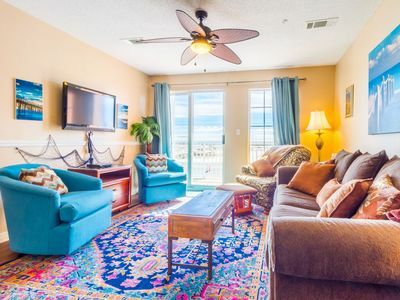 The unit is centrally located within walking distance of the 'T' at Highway 59, The Hangout, Pink Pony Pub, many of the dining establishments, downtown festivals and shopping. 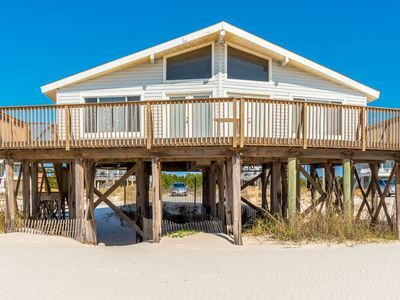 It's only minutes to the Gulf State Pier, the many amusement parks, Flora-Bama, The Wharf and Amphitheater, zoo, golf courses, marinas, Perdido Pass, jetties, nature trails, Fort Morgan, ferry to Dauphin Island, dolphin tours, para-sailing, library, museum and other attractions. It is also just a short drive North to the Outlet Mall or Train Museum in Foley. 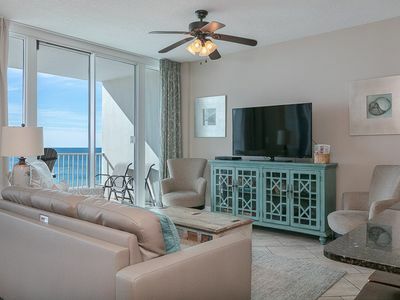 This complex has many amenities including a heated outdoor pool, grilling area with charcoal grills, very short walk to the beach, covered unloading and loading area, limited handicapped parking, ample carts, buggies and elevator. 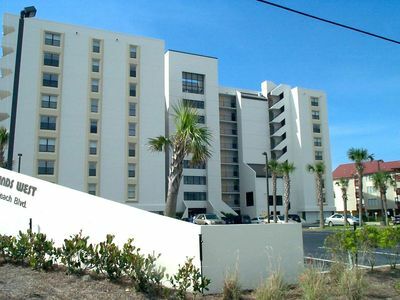 This complex only has 40 units so less people to share the pool and beach with! 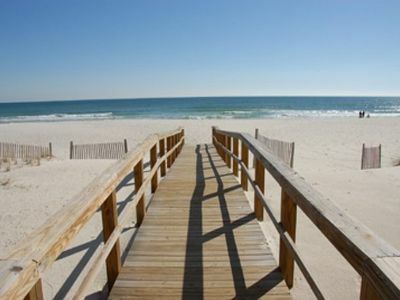 Don’t forget your beach towels! The building is clean and up to date. 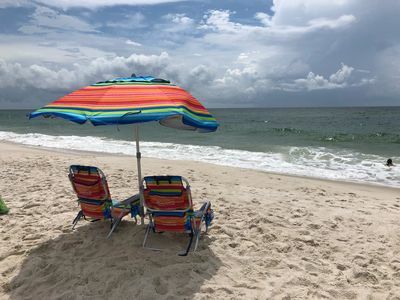 To the east of Gulf Shores, it is a 45 minute drive to Pensacola, Florida where you may visit the Naval Air Station (home of the Blue Angels), the Naval Flight Museum and the Pensacola Greyhound Dog Track. A one-hour drive west brings you to Mobile Bay where the USS Alabama is docked. 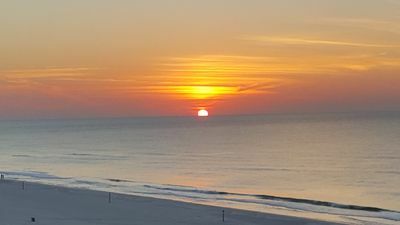 The Casinos in Biloxi, Mississippi are located a short drive west of Mobile. This is an owner unit. We want to make your stay enjoyable so that you will want to return year after year. Send us an email or text if you have any questions. We will respond quickly to your questions. 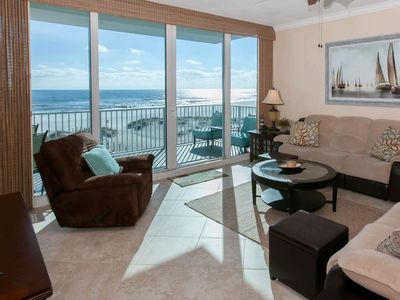 Thanks for taking the time to review our listing and have a great vacation in Gulf Shores. 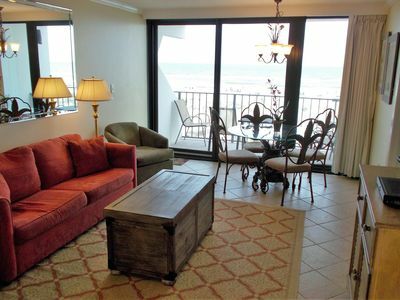 Tropical Winds 402 - FREE GOLF, FISHING, DVD RENTALS, WATERVILLE AND ESCAPE ROOM TICKETS! 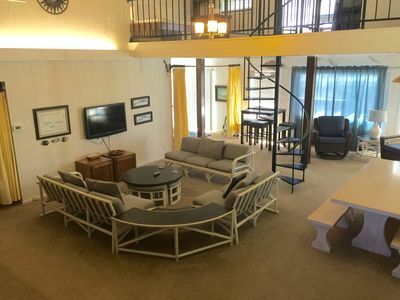 San Carlos 309 -FREE GOLF, FISHING, DVD RENTALS, WATERVILLE AND ESCAPE ROOM TICKETS! Family Favorite! 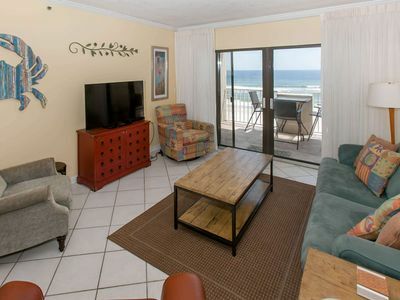 | Book Now for Sun and Fun! 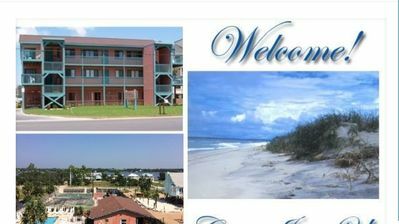 Beachfront Gem - 30% Off Thru May or Book your 5 Star Summer Week Now!! 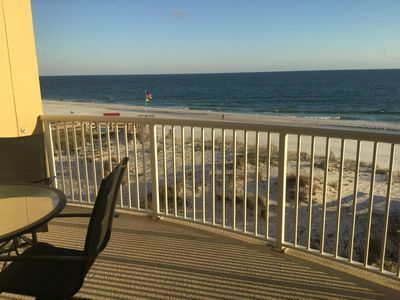 Budget friendly gulf front condo in beautiful Gulf Shores! 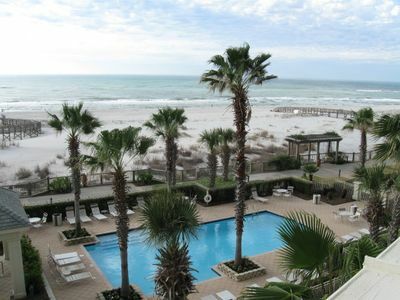 Lg 3BR/2BA Granite, new W/D & flooring, AMAZING VIEW FOR MILES!